I'm very grateful to have a chance to meet all of you customers through the cyberspace which is an important place of our daily lives. We, Autoelex Co., Ltd has the utmost and finest technology in our fields through the quality management and technology innovation. Also, we are recognized as the premium Brand by Americans, Japanese, Europeans, Australians, who have the advanced technology. 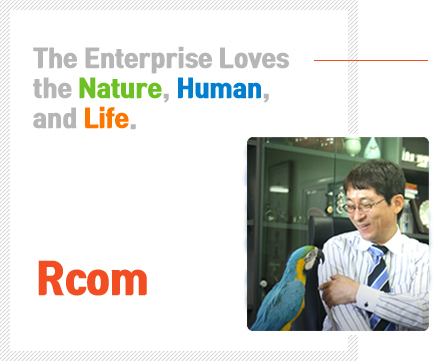 We, Rcom delivers emotions of loving life to dear people in over 54 countries right at this moment with our sensible technology which can hold beautiful and happy memories. We will keep putting our utmost effort so that our loving warmth of 37.5 degrees can be in everywhere.